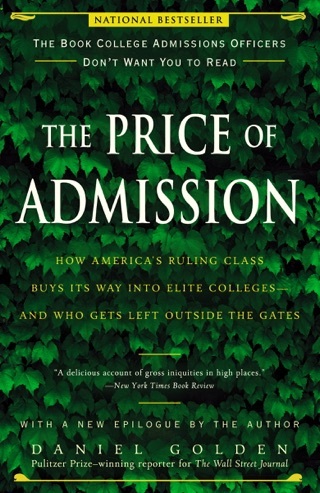 Golden uncovers unbelievable campus activity—from the CIA placing agents undercover in Harvard Kennedy School classes and staging academic conferences to persuade Iranian nuclear scientists to defect, to a Chinese graduate student at Duke University stealing research for an invisibility cloak, and a tiny liberal arts college in Marietta, Ohio, exchanging faculty with China’s most notorious spy school. He shows how relentlessly and ruthlessly this practice has permeated our culture, not just inside the US, but internationally as well. 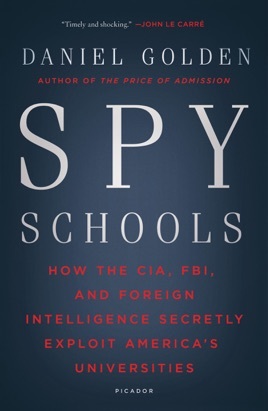 Golden, acclaimed author of The Price of Admission, blows the lid off this secret culture of espionage and its consequences at home and abroad.